It’s like Christmas morning for musical theatre fans: The beautiful The Bridges of Madison County cast recording is now available to own on Sh-k-Boom records! Jason Robert Brown’s brilliant score is lush and romantic, while Kelli O’Hara, Steven Pasquale, Hunter Foster and company are truly outdoing themselves vocally. Below, BroadwayBox reacts track-by-track, gif-by-gif to The Bridges of Madison County. The first track is already better than half the CDs I own. Nice way to change it up there JRB. Let’s get this going. Gosh, Kelli O’Hara’s voice just soars in this score. Damn, Hunter Foster sounds so good! Oh, this song is so special. Even Joni would give it up for Whitney Bashor and Jason Robert Brown right now. The music and vocals are so beautiful. It’s all so romantic. No, I won’t cry right now. Even though this is so beautiful and smart and heartbreaking and real. Wow. Give me a moment. I’m down for the count after that. Kitty got it right. This song makes you just want to dance in the middle of a hoedown like no one is watching. I’ve never done more than one GIF per track but I feel all these just about scratch the surface of what Kelli O’Hara is doing in this song. Who else on Broadway has this moment this season? #Speechless. What a tease. Great appetizer, now let’s get to the meal. That was unbelievable. If you haven’t seen it live yet, you must. It’s like a dog in Heaven just making it rain, but for your ears…and heart. That was more than a listening; it was an experience. If you are adding only one new album from this season to your cast recording collection, this is it. 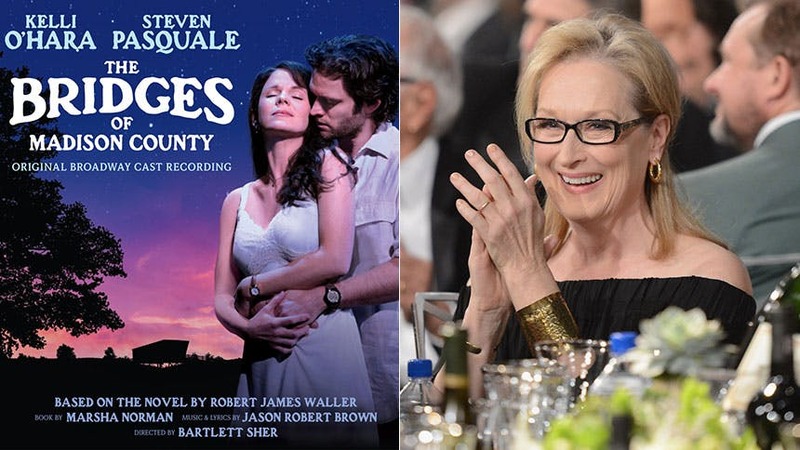 Buy the album now and book tickets today for The Bridges of Madison County on Broadway.